THE FOOD SAFETY Authority of Ireland has recalled a batch of Terry’s Chocolate Orange due to the presence of undeclared hazelnut. A batch of the popular confection is being recalled as it may be unsafe for consumers who are allergic or intolerant to nuts. 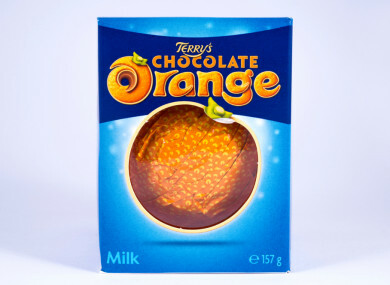 The Terry’s Chocolate Oranges that have been recalled can be identified by the batch number ‘M201131′ and its best before date of 11 March 2020. The HSE warns that symptoms of a food allergy usually develop within a few minutes to an hour after exposure to the food. Email “Batch of Terry's Chocolate Orange recalled due to presence of undeclared hazelnut”. Feedback on “Batch of Terry's Chocolate Orange recalled due to presence of undeclared hazelnut”.